It's Spring in Michigan. And by Spring, I mean the snow is only sporadic, and sometimes it's kind of sunny. That blustery combination of cold nights and not-quite-as-cold days can be a little jarring for an Austinite, but it's perfect for Sugar Maples. Those few weeks when the sap is flowing and the sugar house is all fired up is Sugarbush. My first time through was a long, long time ago, when I was 11 and going to school at Blandford, on the north side of Grand Rapids. Last month, I brought the whole family up to the very same spot. It's still going strong. 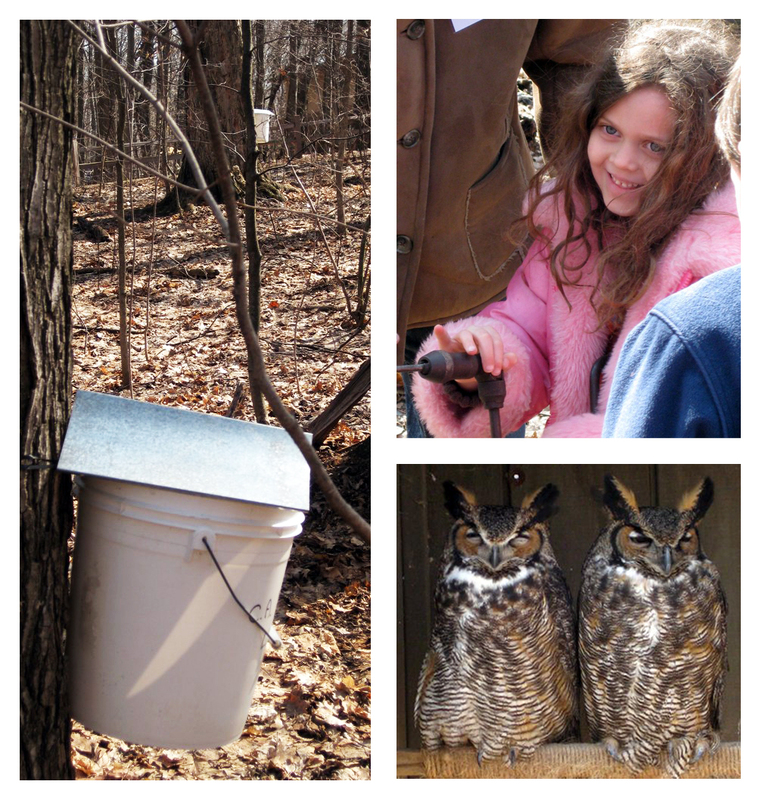 Maple syrup gets it start as sap. It's extracted, traditionally, by way of a small hole drilled an inch or so into the tree, into which a small metal tube is tapped, off of which hangs a big bucket, into which the sap drips. When I think of sap, I think of the tarry sticky stuff that comes out of pine trees. This is totally different. It's water, more or less, with just slightest hint of sugary goodness. Little known fact: sap is totally delicious. Actually, maple syrup anywhere in the process from sap to syrup to maple sugar candy is delicious. When I was doing this for real, as a 6th grader, I used to take surreptitious slurps of the stuff between trees. The buckets hang there, collecting sap, drip by drip by drip. To watch the sap flow, it seems like it would take weeks to get an appreciable amount, but they drip drip on, and in a few hours the buckets start to visibly fill. Every day or so, the buckets are collected, consolidated, and hauled back up the sugar house. I love the sugar house. Even just the name rocks. At Blandford, the sugar house is totally cutting edge, circa 1890. It's not particularly high capacity, but it's totally high drama. The buckets, now emptied into still larger containers, are emptied into a trough in the back of the sugarhouse. They pass through a filter, and into a shallow metal tub, separated into a dozen different channels, atop a seriously roaring fire. As the water is boiled off, over the course of several hours, the sap slowly thickens into syrup. Measurement comes by way of a thermometer-like device that measures sugar solids, but you can see the difference just looking - sap is clear at the start, and golden at the finish. In all, 40 gallons of sap make a single gallon of syrup. Early harvest, when the sugar is in higher concentration, yields the light colored extra-fancy grade A syrup. As the season wanes - just a few weeks later, there's less sugar in sap, meaning a longer time over the fire. That extra time means extra carmelized sugars, hence the darker color. Me? I'm a grade B guy all the way. Better flavor. 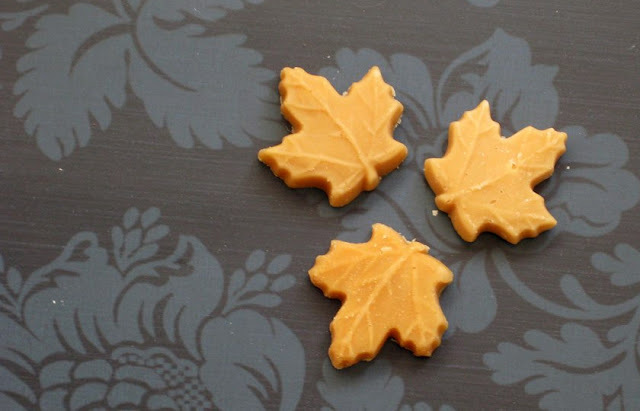 If you keep boiling after syrup you get the absolute primo treat of my childhood - maple sugar candy. The flavors in these things will knock you flat - rich and almost buttery, with a slight woody tinge from the open fire. I don't know if my kids will take home the same memories I've stored away since my time at Blandford, but I'm glad they got a taste. Sugarbush is over this year, but the candy's still available at the Blandford General Store. mmmmm I haven't done this since I was a week kid (I don't remember it). What a great experience! Jealous. Great post...love your photos. You have a fantastic blog@! Nina - Thank you so much! That means a lot coming from you - Salt (http://www.dailysalt.org/) is GORGEOUS.